A huge selection of colors and the convenient double-sided design make these Play Color 2 markers an artist's dream come true! 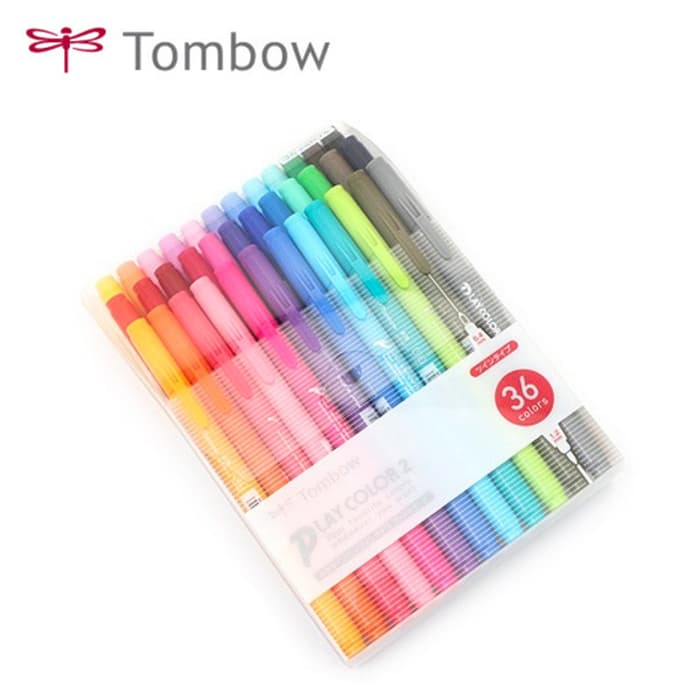 Each marker has two tips, offering great versatility for drawing thick and thin lines, and coloring. The sturdy, plastic fine tip draws lines that are 0.4 mm wide, while the broad tip made of polyester fibers draws 1.2 mm lines. The ink is water-based and dye-based. Endless possibilities are at your fingertips as you get creative in your drawings, illustrations, and other artwork. Aqua, Ash Brown, Azalea, Black, Blue, Chocola, Chrome Yellow, Cool Pink, Crimson, French Blue, Gentian Blue, Gray, Green, Honey Orange, Light Blue, Lime Green, Navy, Olive, Orange, Pale Green Blue, Pale Purple, Pale Rose, Peach Pink, Pink, Porcelain Green, Princess Pink, Prussian Blue, Purple, Red, Rose, Royal Purple, Sky Blue, Tomato Red, Violet, Yellow, and Yellow Green. Barang sesuai deskripsi. Pengiriman cepat.